Once they had decided to leave and disband Deep Purple, Paice and Lord began to plan a very different type of band, built around a trio of themselves and long time friend Tony Ashton, who was to handle the vocals and share keyboard duties. Ashton, Gardner & Dyke had supported Deep Purple in the early seventies, and shared management. 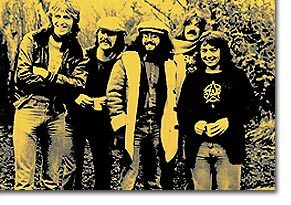 Jon Lord found he got on well with Ashton, and helped AGD out in the studio culminating in the superb western soundtrack 'The Last Rebel' which the pair co-wrote and performed on. In 1974 Ashton and Lord finally finished the "The First Of The Big Bands" album (started three years before), influenced by the Phil Spector wall of sound idea. The album did not sell well, despite a BBC In Concert appearance and an all-star show in London, but did establish the heavy r'n'b foundations on which PAL were to build. To complete PAL, mysterious "guitarist and bassist wanted" press ads appeared in July 1976, and from the auditions guitarist Bernie Marsden (ex of Cozy Powell's Hammer and Babe Ruth) and bassist Paul Martinex (from Stretch) were signed. Work then got underway on a debut album, the group accompanied off and on by a film crew for the eventual PAL documentary 'Lifespan'. Jon Lord also broke off to help promote his latest (and some would say best) solo album Sarabande before finishing off the PAL album. PAL's debut Malice In Wonderland in March 1977 got a mixed reception and a European tour was cancelled in favour of just five UK dates during which PAL expanded to an 11-piece group with a brass section and girl backing singers. A nervous world debut on BBC TV's 'Sight And Sound In Concert' was with hindsight a PR blunder, and showed how uneasy Tony Ashton was fronting a band launched on such a grand scale but even so most of the subsequent gigs were packed and Tony enjoyed himself more when able to communicate a little with the first few rows. Paice and Lord tried unsuccessfully to bring in David Coverdale to take the pressure from Ashton's shoulders (he was also being headhunted by Uriah Heep around the same time), before eventually deciding in early 1978 to cut their losses and call it a day with work on a second album abandoned (some tracks later being unearthed for a CD reissue). David Coverdale in turn brought Bernie Marsden into his new band Whitesnake, and a few months later managed to tempt Jon Lord into the fold. Ian Paice followed in mid 1979. Tony Ashton returned to sessions (appearing on one or two of Lord's solo albums), production, occasional live work and painting. An all-star concert in his honour was held at Abbey Road in 2000 which included the only PAL reunion, with all the original group except for Martinez taking part. Tony Ashton was quite ill by this time and sadly passed away in 2001. 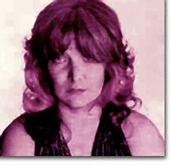 Ian Paice and Jon Lord's first post-PAL project was to put together a backing band for ex-Stone The Crows singer Maggie Bell. A line-up was announced in June 1978, and a special comeback show staged in July, with Paul Martinez, saxophonist Andy Mackay from Roxy Music, and guitarist Geoff Whitehorn from Crawler joining in. There were plans to record but fthey couldn't get a deal and the project collapsed. Jon Lord then joined Whitesnake. Ian Paice began to plan a group around himself, Geoff Whitehorn, and IGB keyboard player Colin Towns. Things had not progressed far when an offer to join Whitesnake came along. Ian had enthused about the band's live shows, and was more than eager to accept the invitation. The only contemporary PAL album, highly rated but didn't chart. Remastered on CD in 2001 with tracks rescued from second (unfinished) album. Remastered version of the band's only UK radio broadcast, with missing track restored, and 12 page booklet. The last word on PAL, including the full BBC live concert, and the Lifespan documentary. Tony Ashton benefit show from 2000. Includes the only PAL reunion ever. DVD and audio CD package. © 2012 DPAS/Darker Than Blue.